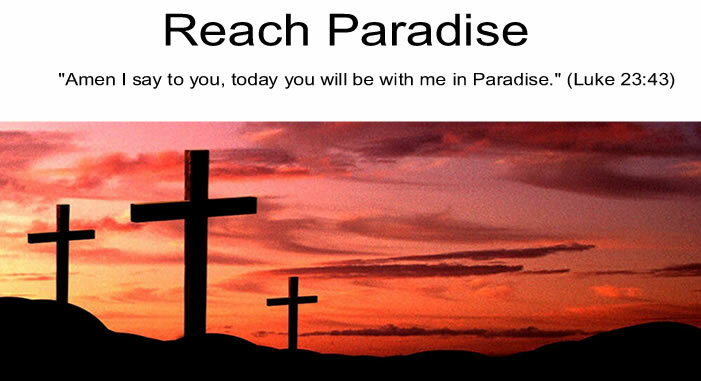 "Amen, I say to you, today you will be with me in Paradise"
I wonder if the he ever met Jesus. It wouldn't be that unrealistic. There is a chance he heard Jesus preaching as he walked past him. We tend to forget what life was like back then, and surely a figure like Jesus would draw attention as He entered a village. Did he insult Jesus first? Matthew and Mark both tell us that those crucified next to Jesus jeered Him. Perhaps St. Dismas realized the error of his ways while witnessing Christ's behavior on the cross. The fact that Jesus tells the St. Dismas that he will join Him in Paradise shows God's unbelievable mercy. Did the Good Thief give a full confession on the cross? It doesn't sound like it. Was he baptized? It doesn't sound like it. So why was he saved? One reason, and one reason only... God's great mercy. His teaches us to act. Now. What if the Good Thief waited to ask Jesus to remember him? We may never know, but we do know that God is always ready to forgive us. He waits for us in the Sacrament of Reconciliation. And yet, few of us take frequent advantage of that. I pray that one day we all get to hear the same words St. Dismas did - Jesus telling us we will be joining Him in Paradise. The Lord sure does work in mysterious ways and every day lately he's been truly impressing me and I still keep on being my old self. Long story short, my paranoia told me to take a look at your blog and so I don't go off in tangents, let's just say that this is my first time hear and I've only read this one post of yours and will simply say that for GOD (Good Old Dad) this is but a moment for HIM. On second thought, the sermon that I heard at church was almost the same thing you wrote here and I was just wondering if there was ever a movie made about this MAN who asked for forgiveness while on the cross with Jesus? From the little that I've read and seen here, I think that it is safe to wish you a Merry Christmas. Thank you Michael for this sobering post. I too wish we all hear the words "Welcome to Paradise". One thing I have in mind. Did the good thief spend time in Purgatory; or were all his sins forgiven there and then. P.S. To avoid confusion. I am NOT the "Victor" who posted above. Thanks Michael and have a Happy Thanksgiving. Victor: Thank you for taking the time to stop by my blog and offer your comments. Merry Christmas to you as well! Karin: Boy do I wish I was clever enough to come up with that line! I love it!